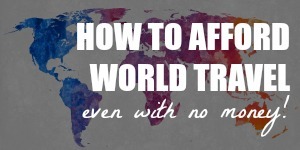 You may be the most adventurous adventurer there is, but even you probably wouldn’t want to end up with no money in a foreign country. It’s always awesome to encounter the kindness of strangers during a trip (like the time I ran out of local currency in Taiwan). It’s not so awesome to be in a position to need strangers to extend their kindness. You don’t have to have everything figured out before you leave home, but it’s important that you have some sort of financial safety net in case things go wrong. 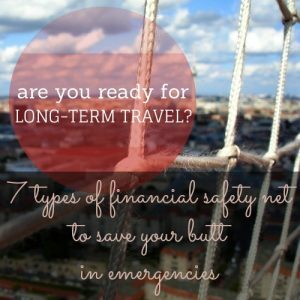 To learn more about the 7 types of financial safety net, click here. Sleep in. Join a book club. Golf. Garden. Spoil the grandkids. And, of course, travel. These are the things that probably come to mind when you think of retirement. But with the economy being the way it is, traditional notions of retirement are becoming less and less realistic. 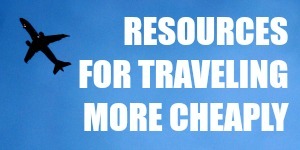 It’s unlikely that many retirees will be able to travel as much as they want to, for example. The good news is you don’t need a traditional retirement to travel. I’d be the first one to admit that “retirement travel” makes me think of expensive package holidays, cruises and all-inclusive resorts. But some retirees approach travel creatively, living large on a small budget. Today, another awesome lady talks about how she took an early retirement and moved to China. But retirement is not about doing nothing for Ruth; she works as an English teacher there, which provides her with an income and some serious perks. Read on to find out more! The average cost of a wedding seems to hover between $27,000 and $32,000, depending on who crunches the numbers. 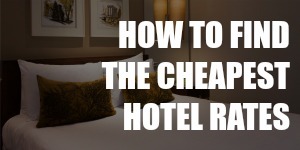 And while a more accurate median cost is a lot lower, it’s still about $18,000. That’s enough for an extended trip! And that’s what Kayci and Joe are doing. 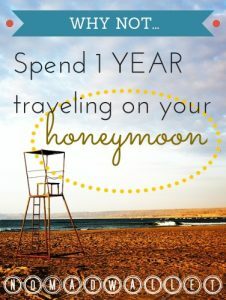 Like everybody else, they saved up before their wedding, but then they allocated most of that money for a year-long, round-the-world honeymoon. Read on for my chat with Kayci about saving, budgeting and planning to work on the road. Today, I’m interviewing Megan of Mapping Megan. She’s an Australian journalist who has been travelling and blogging around the world for the last 7 years. Her husband Mike is an American travel photographer, and together they have made the world their home. 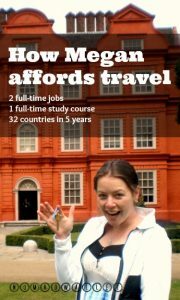 What I love about her story is how much she has sacrificed to afford travel, at one point even taking on two full-time jobs and a full-time study load! Megan is all about determination and hard work. France is a dream destination for many travelers. But it’s a reality for Charmaine Yip, who works through the teaching assistant program in France and now lives in Paris. This is a great option for young travelers, especially because you don’t need to have any teaching experience or qualifications to do this. And it’s not just for English speakers either; there are opportunities for native speakers of other languages as well. 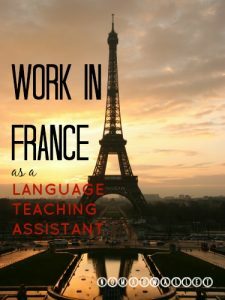 To find out how to travel and work in France as a language teaching assistant, click here. For today’s interview, we have Amanda from Backpacker Hub — a seasoned traveler with lots of great stories to share. In 1993, Amanda decided to stop wasting money on university and instead went on a trip to Europe, where she got hooked on travel. When she got home to Vancouver, she immediately began saving up for her next trip. 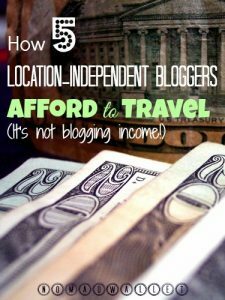 For more than 10 years, Amanda repeated this cycle of traveling and working at home to save up. In 2008, she decided to settle down in Vancouver, but now she has itchy feet and is saving up to take off again! Amanda has taken on many different jobs, both at home and abroad. 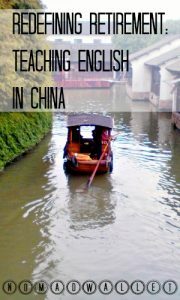 She has taught English in various countries, gone drinking with Japanese businessmen and translated menus in exchange for free meals. This is a long interview, but also one that’s jam-packed with information. So brew a cup of coffee and enjoy! Today, I’ll be chatting with Eric Reed of The Wandering Lawyer. He left his legal job in the U.S., bought a one-way ticket to Cambodia and has since taken on various jobs along the way. 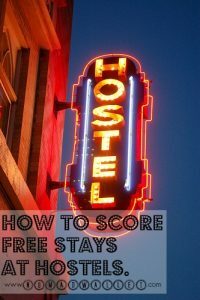 Read on to find out how you too can stay for free in exchange for work at hostels. Click here.